My son's nearly two (already!?) and we finally seem to be getting into a routine. It's helped that I've recently given up my job as he seems a lot more settled with me being around full time. I need to start making time for me- Not mummy, Chunk, or family time, just ME. Before I had Chunk, I thought nothing of booking hair cuts, massages, coffee and cake sessions with my mates, and of course shopping for shoes and handbags I didn't need. Since having him (and the waste of space know as his sperm donor not contributing) all money has gone on keeping us alive, homed and warm(ish). Any spare money I've had has always ended up going on a treat for my boy- charity shops are my Achilles heels, as there's always toys or books in there I feel need to be added to his collection! My own pampering up until now has been in the form of a hot water bottle, cheap chocolate bar and catching up with Hollyoaks (it clashes with In The Night Garden you see). None of that makes me feel good about myself, so it's time I start doing things to feel special and to help raise my very low self esteem, especially as I'm getting back into the dating world at the moment! Despite me now being in the worst financial situation of my life, I'm fast becoming aware that life is short, and very precious, and in order to be a good mum and to enjoy my son, I need to have time to relax and to just be Claire every once in a while. 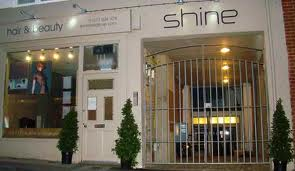 That's why I jumped at the chance of getting my hair done when Shine Hair and Beauty Salon invited me last week. I've not had my hair cut in a salon for years, as my sister trims it for me a couple of times a year (gross I know, but broke!) so I was a little nervous, but was immediately put at ease when I was greeted by Lydia (who I realised was in my primary school class!). She sat me down with a cup of tea and the latest Vogue magazine and I got to chill in comfort. Whilst I waited for my stylist, I got to have a mooch about and was amazed at how beautiful the place was- even the toilets were glam! It has sleek furniture and great lighting, and the atmosphere was so chilled out, and not like the busy, loud salons I've been to in the past. 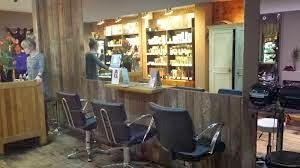 As well as a hair salon, they offer beauty treatments from massage, facials to waxing and manicures. The Fusion Stone Massage and manicure treatments are being added to my Mother's Day wish list! I was then greeted by my stylist, Lucy, a very sweet and artistic lady that kept me entertained the whole session. 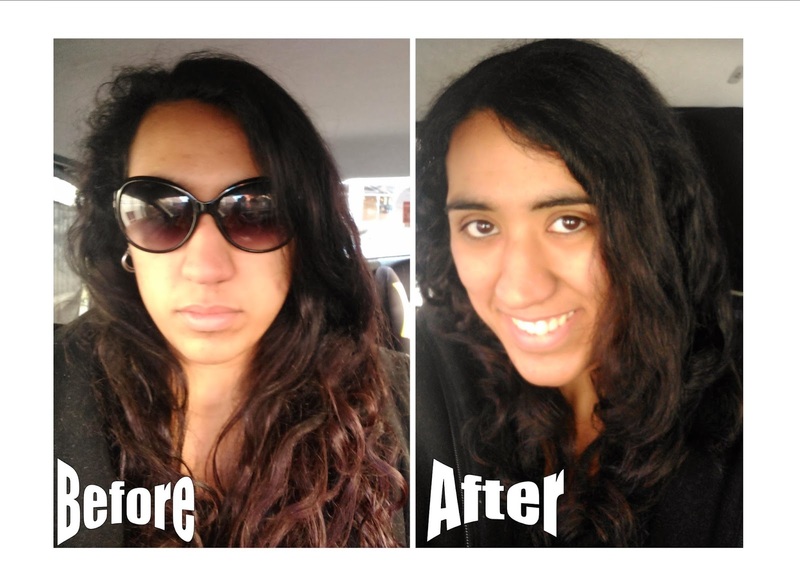 She spent a lot of time finding out about my hair type, and what style I wanted, and then got an assistant to give me an aromatherapy head, neck and shoulder massage before I had my hair washed, massaged and conditioned. The massage was lovely and very unexpected. Lavendar oil was used and it smelt so calming that I almost fell asleep during it. The biggest surprise of all came when I then had my hair washed. The lady reclined my seat once my head was in the basin, and asked if I wanted a back massage. The chair then started to massage my back, and it was BLISS. It wasn't just a vibrating chair, it gave hard, soothing rubs up and down my back and I didn't want it to end: I need someone to buy me one of those chairs pronto! Lucy then started cutting my hair, and we talked dating (she is also single), things to do in Brighton, her hair career, and she even showed me a book she recently wrote and illustrated. It was dark, but beautiful and I was very impressed. It also gave me something to read when she was diffusing my hair! Lucy didn't dry my hair completely, because she knew my hair would frizz less if it dried naturally, but she ensured it was styled so that it would dry with more defined curls. 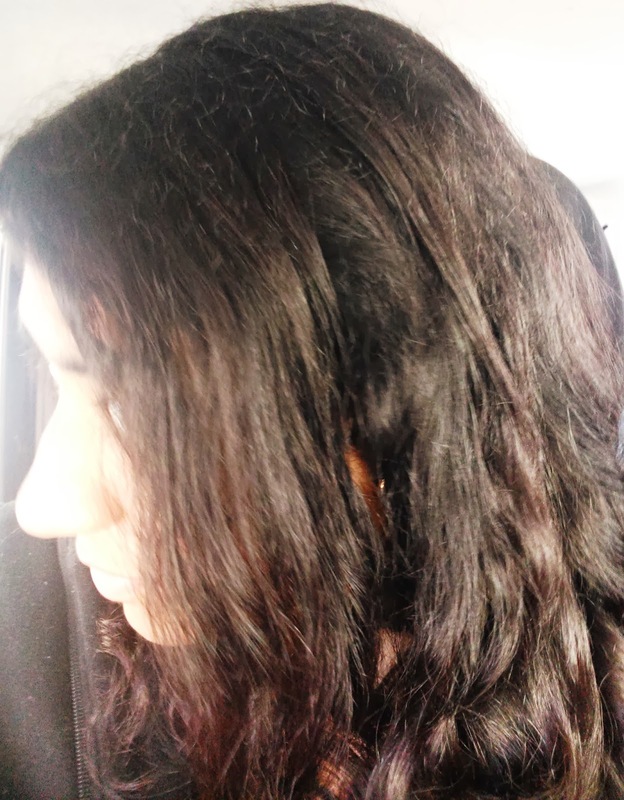 She also used some gorgeous Aveda products to add smoothness and shine to my hair. 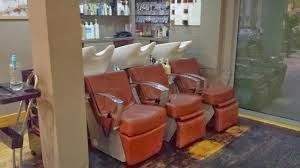 I wasn't rushed in and out which is something you rarely see in salons these days- in fact Lucy spent a lot of time teaching me how to work with my mixed parentage 'sensitive' hair. I'm definitely having my haircut here more often, as I felt like I had spent a couple of hours in a spa rather than getting my hair cut: My shoulders and head felt relaxed and knot-free, I smelt gorgeous, and my hair was so soft and lovingly styled I felt very special, and I want to feel like that more often! Thankfully I chose to have this pamper session on the day of my first dating challenge, so I felt like some kind of celeb dressed up in my new dress with my gorgeous, shiny hair! The only downside for me was the location- nowhere to park for free as it's in the centre of town, so along with the £49.50 for this haircut, it would be a pretty expensive morning! What have you managed to fit into your busy parent/work/home life as your 'me' time? Please comment below as I want some more inspiration! For the purpose of this post, I was given a haircut for review. No payment was received for this post, and all opinions are honest and my own.